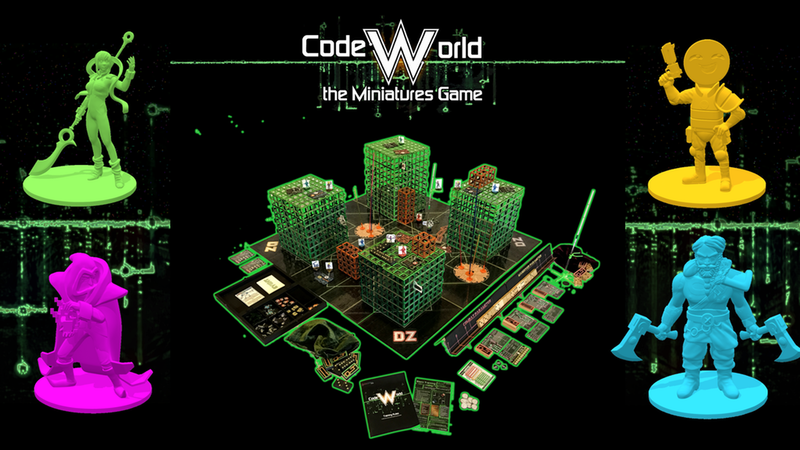 Following an 18 month journey of development, Dreamstruck Games is excited to announce its first game: CodeWorld the Miniatures Game, a 2-4 player tactical cyberspace miniatures skirmish game. In this engaging and innovative game, dive into the role of the Operator. Put together a band of VR hackers, fighters, and coders. Use squad-level tactics, manipulate dominoes, and obtain information to secure your agenda before your opponent disconnects your band. We have taken CodeWorld as far as we can on our own. 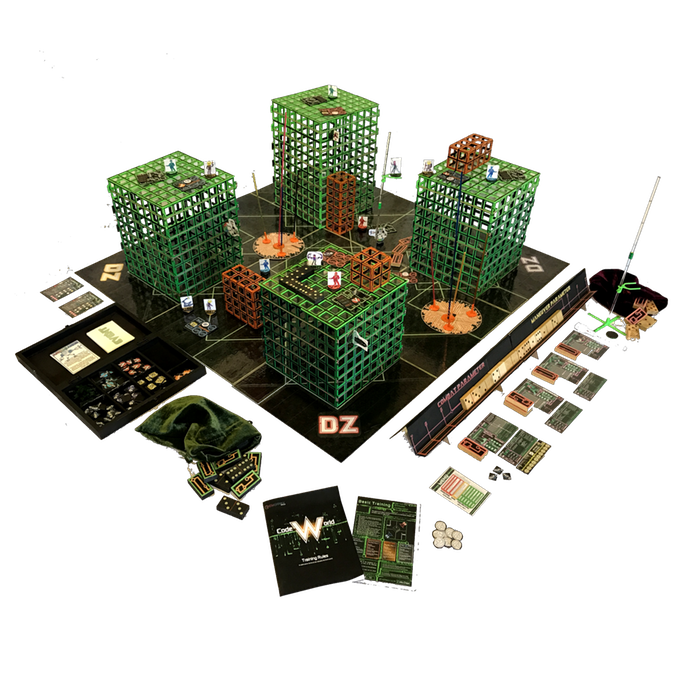 Dreamstruck Games is a one-man company working together with a host of volunteers, playtesters, artists, modelers, manufacturers, distributors, and more. Help us push this game from a (heavily tested) vision with a prototype to a full-blown wargaming system!!! The Kickstarter campaign is up and running now. It's set to go for another 33 days.